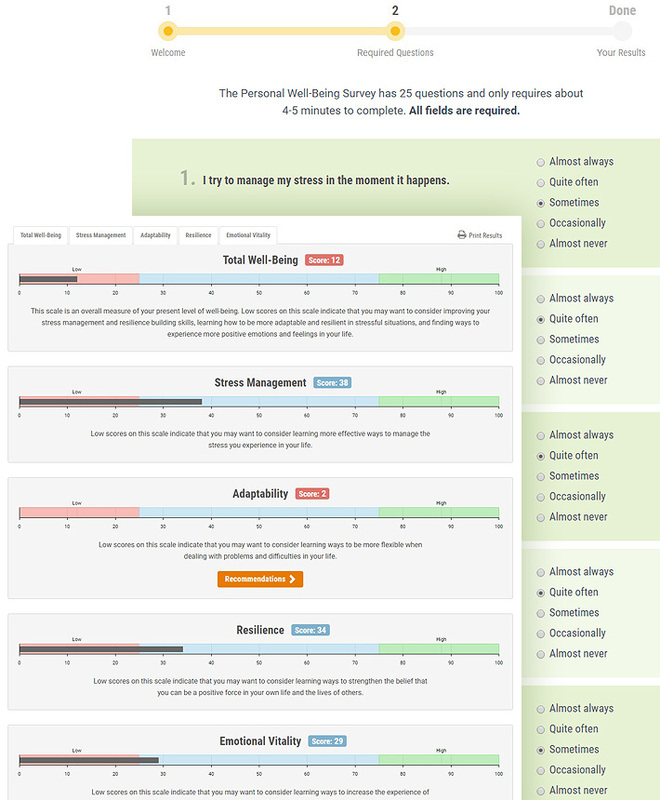 This scientifically developed assessment tool gives you a snap shot of your current level of well-being and stress management. It measures four key dimensions of well-being: stress management, adaptability, resilience and emotional vitality, then compares this data to a normed group of individuals, which provides an accurate reference point. Finally, the survey will offer recommendations on practical tools to improve your levels should you have a low score in any of the four dimensions. Sign up for FREE below to access Personal Well-Being Survey. In addition, you will also receive access to all of our free Subscriber downloads, HMI news, updates on the latest scientific research and more.